This photo is of my grandfather, William Taylor (Big Bill). He was a fisherman in Brighton. In his prime, he was the biggest and strongest man in Brighton. He entered weight lifting contests in the Alhambra theatre. He stood 6ft 4in in his socks, and his thick yarn sea jerseys were specially made for him. His arms were as thick as a big man’s legs. At the Brighton regatta in the early 1900s, he sculled his way to the championship of England. He was a born seaman and went to sea when he was 11 years old. Is this William Taylor any relation of William Taylor, son of Abraham Taylor, born in Brighton in 1821? My great-great-grandfather was a William Taylor born about 1856 and also a fisherman. He married Frances and they had four children: William, John,Sarah and Martha. Long shot, I know, but are they the same person? My Grandfather (photo above) was born in 1880 to John Taylor born in 1855 and Elizabeth Gunn born in 1860. The Williams I have in my family tree were born in 1663, 1701, 1760, 1802 and 1844. My ancestors were fishermen in Brighton. They were my great-great-great grandfather John Taylor born c.1816, married to Ann King, and their son, also John, born c.1834. I also wonder if this is the John Taylor in the photograph of the Brighton Seamen 1864? The photograph in Brighton Fishing Museum (1864) is quite fascinating in that the names of the characters in the picture are listed below it; names of men, many of whom were related. I am surprised that neither the Museum nor the Brighton History Centre appear to hold any family trees of such fishermen, thinking particularly of Martha Gunn. It appears that one of her grand-daughters, Hannah Gunn, married Abraham Taylor in 1817. Two of their children were John Taylor (b. 1820) and William Taylor (b. 1821). These, I have assumed, are the two Taylors shown standing together in the photograph. John Taylor married a Humphrey and William married a Rolf. John would go fishing in his boat, ‘Three Brothers’, with Noble Humphrey and his son, Noble. There are so many John and William Taylors who were fishermen in Brighton and it would be good if some of the above details could be corroborated. I am related to the Rolf family and it was really interesting to read Philips comments about a marriage between the Gunns and Rolf. I would love to know more. The Gunns and Rolfs did indeed marry into each other’s families several times through the generations. I have found lots of information whilst researching my family tree – I was originally looking for a link on my father’s Gunn side back to Martha and actually found it on my Mum’s Rolf / Pumfrey side! My tree is available at Genesreunited – anyone that can help me further I would be most grateful to hear from! Big Bill Taylor is my great grandfather on my Dad’s side. My Dad was Reginald William A.L. Jarvis, son of Louisa Maud Taylor who was one of Big Bill Taylor’s daughters. I am trying to trace our family tree and would appreciate any information avilable on Big Bill Taylor and family. Please contact me if you have any information: naomi.jarvis5@btinternet.com. Thanks. One of Big Bill Taylor’s sons was Charles Henry Taylor. I cannot remember his exact date of birth but he died in 1996. Like his father, Charles was a brilliant man, and had four children. Big Bill Taylor was my grandad; he was a great man and was sadly missed when he died. Fishing was his life and when I was little and he came back from catching fish he would bring home some dabs and put them in the kitchen with water to flip about and get them ready for the neighbours to buy. That was after he sold fish at the market. Life was hard in those days. My sister Pamela brother Roy and I are grandchildren of Big Bill Taylor. Pamela, Roy and I are children of Wyn, Big Bill’s daughter. Theresa Rose Whittle nee Jarvis, your dad Reg was our cousin. Your mum Olive and dad Reg lived in Clayton Road as we did. They were in Hallett Road, us in Clayton Road in later years. Reg would tease me unmercifully when I was a teenager. My email address is jennifer.tonks@yahoo.co.uk should you wish to contact me. I am related to Noble Humphrey (b. 1814) and his son Noble Humphrey (b. 1842), both on the “Three Brothers” boat. Has anyone got any information about the boat itself please? Thanks. Twenty years later on the1881 Census night – Three Brothers -I assume it is the same one, was in Falmouth,(Three Brothers) Shoreham, 1, Robert Hazelgrove, Crew, M, 48, Master Fisherman, Brighton Sussex, 14t fishing lugger,Willam Emery, Crew, W, 57,Fisherman, Brighton Sussex, John Simms, Crew, S, 20, Fisherman, Brighton Sussex, Robert Bouchins, Crew, S, 24, Fisherman, Brighton Sussex, John Hazelgrove, Crew, S, 19, Fisherman, Plymouth Devon, Henry Hazelgrove, Crew, S, 18, Fisherman, Brighton Sussex, James Hazelgrove, Crew, S, 15, Boy, Brighton Sussex. There were quite a few other Sussex boats in port on that night, I assume they were chasing the Mackerel. Quite why they should all be in Falmouth on that particular night, unless it was to attend for the Census. Hello…just an update…I have another photo of my grandad father. It can be added at the top of the page with the one that is already there. Editor’s note: Maralyn – if you want us to add the photograph, please email it to: jennifer@mybrightonandhove.org.uk. William ‘Big Bill’ Taylor was also my grandfather. I am the only daughter of Charles Henry Taylor and Margaret (Char and Peg). They had six children not four as stated by ‘Taylor’ in 2009. Sadly Wayne died at four from cystic fibrosis in 1955 aged five months. Dad died in 1996 suddenly in his sleep, and was followed by his sister, known in the family as Sis, who also died suddenly in her sleep in April that same year. Dad also went to sea when he was very young and told me about how granddad tied him to the side of the boat when the sea was rough so that he didn’t fall in. I have the original licence for grandad’s boat which was called the ‘fair Irene’. I would love to know what happened to it after he gave up fishing. Life was very hard for the family and there were eighfour children in all: 4 boys and four girls. Sadly, none of them followed on the tradition of fishing, and the last of the family, George outlived them all. He passed away in July 2011 aged 97 and was such a lovely man who is very much missed by us all. I was told by my Grandfather (Charles Henry Taylor) that his father ‘Big’ Bill rowed a boat to France and back to help with the Dunkirk evacuation. I don’t know if it was fact or myth. Yes Wayne, it is true,Grandad Taylor tried to get over to France because Uncle Will was there but he was turned back because of his age, I believe he was 65 at that time. What a great guy he was. My Nan was a Rolf. Both her and my grandad used to own Rolf’s Fish and Chip shop in New England Road. I remember she would talk about the Rolfs and the Taylors. Philip, do you know what was the name of Martha Gunn’s son, who was the father of Hannah Gunn? 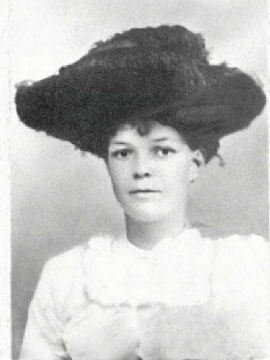 My great grandmother was Ellen Gunn, daughter of John Gunn, fisherman. She told my mother that she was a direct descendent of Martha. The trouble is that there were so many John Gunns in Brighton in the 19th century that it is very difficult to be sure that one is following the right line! A mistake has been made in my earlier post about the Taylor fishermen. The e-mail address is theresa.whittle@virginmedia.com not as shown (naomi.jarvis5@btinternet.com). Please if you have any more information concerning the Taylor fishermen it would be very appreciated. Thank you. William Taylor b1880 is my Great Grandfather on my father’s side. I have been trying to find out more about him having sculled his way to the Championship of England and am unable to find anything. Does anybody have any information about this event? Year, newspaper reports etc, information would be greatly received. Please e-mail me at (theresa.whittle@virginmedia.com). Thank you. My late grandad was a fisherman on Brighton beach from about 1950 to 1975-ish. His name was Victor Bishop. I am trying to find any information about him working as a fisherman, and any photos. If anyone knows anything I be very grateful. When I was a small child he lived at the top of Kemp Town with my grandmother Muriel Bishop in the high rise flats called Somerset Point. 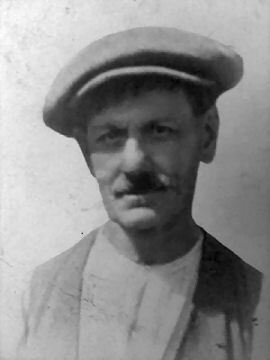 My Grandfather was William Friend Taylor, born about 1875 died 1952 in Brighton England, he was a fisherman most of his life. He and my Grandmother Eliza had about 8 children, William, John, Robert, Albert,Samuel, Lillian, Margaret, and my Father…George Stanley born 14/8/1916 They resided at 25 Claremont Row in Brighton and in 1939 moved to 39 Manor Road. I live in New Zealand and have two sons James (deceased2017) and Benjamin living In Auckland. I am very keen to hear from any of our greater family please.